Archer Engineering, a full service custom machine shop, offers high quality vertical and horizontal milling services for industrial OEM and replacement part markets. As part of our turnkey machining services, Archer’s high-quality cnc milling services provide high precision components that meet the most exact specifications and the tightest tolerances. 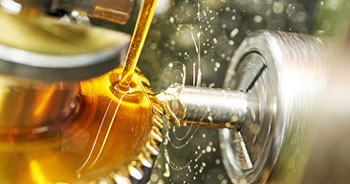 For over 60 years, we have manufactured precision machined components for a variety of industries including aerospace, automotive, military, electronics, and heavy equipment. Our fully automated milling centers enable us to efficiently manufacture your custom components. Archer has the production capabilities for full production run quantities, low-volume runs and prototypes - all to our high quality precision standards. Our custom machined parts meet the high industry standards set by the American Fastener Institute, ASME, and Mil-Spec, ensuring that your part will meet your exact requirements and perform as expected in your finished product. Milling is the process of producing machined surfaces by progressively removing a predetermined amount of material from the work piece.